In Northern California fires have killed at least nine people and destroyed almost the entire town of Paradise. Over 6,700 structures are ruined with mosts neighbourhoods burned to the ground. 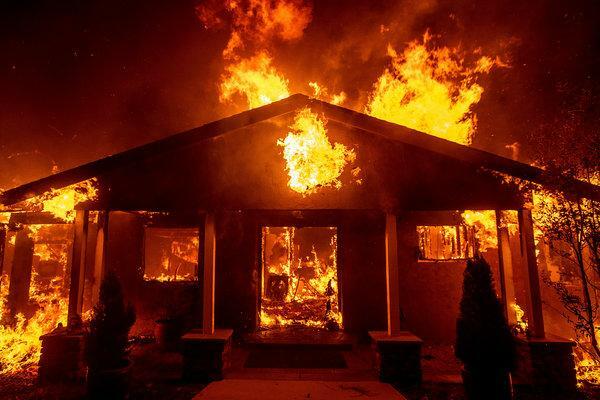 According to reports, in a single day, the Sierra Nevada foothill town of 27,000 founded in the 1800s was largely leveled by flames that moved very quickly.The fire started in the town of Paradise had grown on Friday to nearly 360 square kilometres. This makes it California's most destructive wildfire in their history. Fires are also burning in Southern California. The total number of people forced from their homes at more than 200,000. Evacuation orders included the entire city of Malibu, home to many famous stars, which has a population of 13,000. Reports show that St. Nicolas Church still stands, a rare exception to the destruction.